Some animals challenge becoming known to experts and non-specialists alike. • One such example can be found among African genets in general and Bourlon’s genets in particular. • Knowing the nocturnal tree-dweller’s looks but ignoring habitats does not necessarily lead to ranking genets high among the world’s faunal escape artists. Excepting aquatic forms (Genetta piscivora), genets get spotted bodies and striped tails. • For artists and fashionistas, spots with stripes guarantee standing out in canvas and textile line-ups. • But for a diminutive carnivore whose remote rainforest homeland showcases dappled lighting and vegetation, they have super-smart survival implications. Acute senses, ambient coloring, rapid moves, and remote niches indeed help explain ignorance of the existence of Bourlon’s genets until the twenty-first century. Recoveries from the butcher’s block. One of the older specimens in fact traces back to Oda, Ghana in 1946. More recent specimens regularly turn up in southeast Guinea's bush-meat markets. skin of King Genet (Genetta poensis): King Genets overlap with Bourlon's Genets in Liberia. Rough, short fur measuring 0.79 – 1.18 inches (20 – 30 millimeters) on the tail. Long, thin, stripe running the upper tail's length. Genetta pardina fieldiana (No. 51541): A ~ palmar surface of left fore foot; B ~ plantar surface of left hind foot. Natural size. Foraging nightly from day-occupied burrows and hollows. Weights of 3.31 – 4.41 pounds (1.5 – 2 kilograms). A skin of a Bourlon's Genet, collected from Mount Nimba in June 2001, is in Paris' Museum National d'Histoire Naturelle. 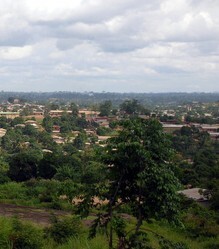 landscape of Mount Nimba: views of Côte d'Ivoire, Guinea, and Liberia. Viverrid specialist, particularly of genets and linsangs. Both common name and species name of Bourlon's Genet (Genetta bourloni) honor memory of Philippe Bourlon, keeper at Zoo de Vincennes who died from injuries inflicted on September 24, 2001 by a lion while he was feeding lions in their enclosure. 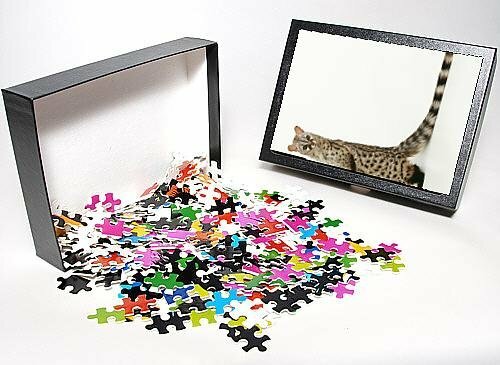 Conclusion: A future for a newly identified genet species with an almost invisible past? Philippe Gaubert is responsible for the common and taxonomic names of Bourlon's genets (Genetta bourloni). Both names memorialize Philippe Bourlon's outstanding tenure at the Paris-Vincennes zoo, 1978 – 2001. They persuade Philippe's contemporaries to uncover other popular designations -- to join the extra-regional, Swahili word kano for all genets -- since Bourlon's genets inspire interest in four coastal west African countries. 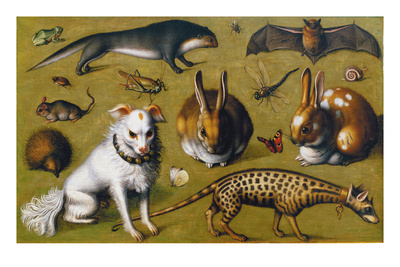 The discovery hopefully will be accompanied by the proliferation of governmental protection and scientific research preceding environmentally-friendly policies and practices regarding the life cycles and natural histories of Bourlon's genets in particular and world-stressed fauna and flora in particular. Effectively resolving sustainability threats from agro-industrialism, environmental pollution, globally-warmed climate change, and over-hunting will require nothing less. Allen, J.A. (Joel Asaph). 1922 - 1925. “Carnivora Collected by the American Museum Congo Expedition.” Bulletin American Museum of Natural History, Vol. XLVII (1922 - 1925): 73 – 281. Beddard, Frank E. 12 November 1907. "On Some Points in the Structure of Galidictis striata (Received October 17, 1907)." Proceedings of the Zoological Society of London 1907(4):803-817. Bisby, F.A. ; Roskov, Y.R. ; Orrell, T.M. ; Nicolson, D.; Paglinawan, L.E. ; Bailly, N.; Kirk, P.M.; Bourgoin, T.; Baillargeon, G.; and Ouvrard, D. (red.). 2011. "Genetta bourloni." Species 2000 & ITIS Catalogue of Life: 2011 Annual Checklist. Reading, UK. Retrieved May 9, 2014. Boelens, Bo; Watkins, Michael; and Grayson, Michael. 2009. The Eponym Dictionary of Mammals. JHU Press. Baltimore MD: The Johns Hopkins University Press. Boudet, Ch. 10 January 2009. "Species Sheet: Bourlon's Genet." Mammals' Planet: Vs n°4, 04/2010. Retrieved May 9, 2014. "Bourlon's Genet." The Animal Files: Mammals>Carnivores. Retrieved May 9, 2014. Crawford-Cabral, J. 1981. “A New Classification of the Genets.” African Small Mammal Newsletter6:8-10. Driver, Stephanie (ed.). 2008. Exploring Mammals. Tarrytown, NY: Marshall Cavendish Corporation. Gaubert, P. 2003. “Description of a New Species of Genet (Carnivora; Viverridae; genus Genetta) and Taxonomic Revision of Forest Forms Related to the Large-spotted Genet Complex.” Mammalia 67:85-108. Gaubert, Philippe; and Dufour, Sylvain. July 2013. “First Report of a Chinchilla Phenotype in Viverridae (Carnivora).” Small Carnivore Conservation 48:92-95. Retrieved May 9, 2014. Gaubert, P.; and Dunham, A. 2008. “Genetta bourloni.” In: IUCN 2013. International Union for Conservation of Nature and Natural Resources Red List of Threatened Species. Version 2013.2. Retrieved May 9, 2014. Gaubert, P.; Taylor, P.J. ; and Veron, G. 2005. “Integrative Taxonomy and Phylogenetic Systematics of the Genets (Carnivora, Viverridae, Genetta): A New Classification of the Most Speciose Carnivoran Genus in Africa.” Pp. 371-384 in African Biodiversity: Molecules, Organisms, Ecosystems edited by Bernard A. Huber, Braldey J. Sinclair, and Karl-Heinz Lampe. NY: Springer Science + Business Media, Inc.
Gaubert, P.; Veron, G.; and Tranier, M. March 2002. “Genets and ‘Genet-like’ Taxa (Carnivora, Viverrinae): Phylogenetic Analysis, Systematics and Biogeographic Implications.” Zoological Journal of the Linnean Society 134(3):317-334. Gaubert, Philippe; Weltz, Marjorie; and Chalubert, Antoine. 14 January 2008. “Genetta bourloni.” Genets and Oyans. Paris: Université Pierre et Marie Curie. Retrieved May 9, 2014. "Genet." AWF: What We Do>Wildlife Conservation>Genet. African Wildlife Foundation. Retrieved May 9, 2014. "Genetta bourloni." The National Center for Biotechnology Information: Taxonomy ID94190. Retrieved May 9, 2014. "Genetta bourloni: Bourlon's Genet." Encyclopedia of Life. Retrieved May 9, 2014. "Genetta bourloni (Bourlon's Genet)." ZipcodeZoo: Species Identifier 4272224. Retrieved May 9, 2014. "Genetta bourloni Gaubert, 2003." ITIS Standard Report: Taxonomic Serial Number 726258. Integrated Taxonomic Information System. Retrieved May 9, 2014. "Genetta bourloni Gaubert, 2003." The Marine Biological Laboratory Universal Biological Indexer and Organizer NamebankID 11271811. Retrieved May 9, 2014. Glenn, C.R. 2006. “Bourlon’s Genet.” Earth’s Endangered Creatures (Online): Species Profiles > Africa > Endangered Mammals of Africa. Retrieved May 9, 2014. Goswami, Anjali; and Friscia, Anthony. (eds.). 2010. Carnivoran Evolution: New Views on Phylogeny, Form and Function. Cambridge University Press: Cambridge Studies in Morphology and Molecules. Gray, John Edward. 1869. Catalogue of Carnivorous, Pachydermatous, and Edentate Mammalia in the British Museum. London: Trustees of the British Museum (Natural History). Retrieved May 9, 2014. Huber, B.A. ; Sinclair, B.J. ; and Lampe, K.-H. (eds.). 2005. African Biodiversity: Molecules, Organisms, Ecosystems. NY: Springer. Kondo, H.; Tesar, J.; Cloud, D.; Kagan, L. (eds.). 1972. Civets, Genets, and Linsangs, Vol. 2, 3rd Edition. Milan: Fratelli Fabbri Editori. Larivière, Serge. 2004. "Civets, Genets, and Lingsangs." Pp. 335-339 in Grzimek's Animal Life Encyclopedia, Second Edition. Volume 14: Mammals III, edited by Michael Hutchins, Devra G. Kleiman, Valerius Geist, and Melissa C. McDade. Farmington Hills, MI: Gale Group, Inc., division of Thomson Learning Inc.
Myers, P.; Espinosa, R.; Parr, C.S. ; Jones, T.; Hammond, G.S. ; and Dewey, T.A. 2014. “Genetta bouloni: Bourlon’s Genet.” The Animal Diversity Web (on-line). University of Michigan Museum of Zoology. Retrieved May 9, 2014. Pocock, R.I. 26 November 1907. "Report upon a Small Collection of Mammalia Brought from Liberia by Mr. Leonard Leighton." Proceedings of the General Meetings for Scientific Business of the Zoological Society of London 1043-1047. Retrieved on April 18, 2014. Poitrineau, Karine. 31 October 2003. “Découverte d’une nouvelle espèce de mammifère: la genette d’Afrique de l’Ouest.” Futura-Sciences. : Santé > Actualités > Génétique. Retrieved May 9, 2014. Schlawe, L. 1980. “Zur geographischen Verbreitung der Ginsterkatzen Gattung Genetta G. cuvier, 1816. Faunistische Abhandlungen Staatliches Museum für Tierkunde in Dresden 7:147-161. Veron, Geraldine. 6 September 2010. "Phylogeny of the Viverridae and 'Viverrid-like' feliforms." Pp. 64-91 in Carnivoran Evolution: New Views on Phylogeny, Form and Function, edited by Anjali Goswami and Anthony Friscia. Cambridge University Press. Wilson, Don E.; and Reeder, DeeAnn M. (editors). 2005. Mammal Species of the World: A Taxonomic and Geographic Reference. 3rd ed. Baltimore MD: Johns Hopkins University Press. Loma Mountains are protected area in Sierra Leone, designated as a non-hunting forest reserve since 1952.